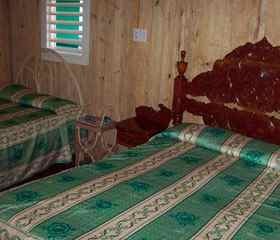 Mayrita The Cabin is your home in Viñales! It is located in Calle Ramon Coro no. 7 between 2nd and Rafael Trejo in the municipality of Viñales. This will be received with great hospitality and you can feel at home. At home Spanish, English and some French is spoken. 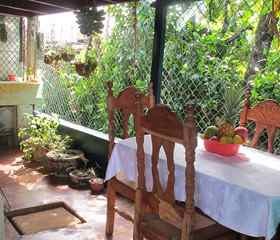 two completely separate rooms, modern rooms and a cottage fully independent timber which has a terrace with window to the side yard of the house, two double beds, private bathroom with shower hot and cold water 24 hours are rented. It has air conditioning and fan. 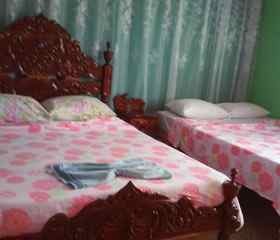 In addition to other amenities to enjoy a pleasant stay in Viñales. 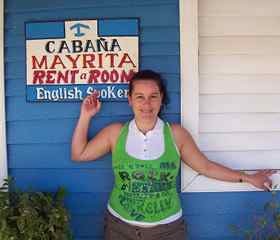 Maira prepares delicious meals and breakfasts will available to the traveler whenever requested. 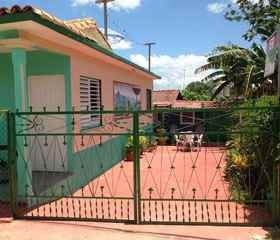 The house is located near the center of the village of Viñales where you can enjoy the evening live music from various local groups. 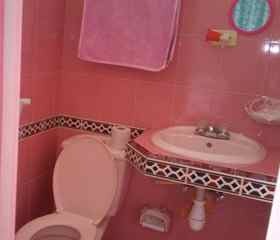 Also in the house gives you information on how to get to places of tourist attraction, you will also offer massage services, bicycle and horse rental, excursions and climbing the wooded hills of viñales. At night you can walk to bars, to enjoy the nightlife in this small town in the westernmost province of Cuba. From the house you can make trips to las vegas the best snuff in the world, excursions can be riding or walking, where you will see the planting process, drying and preparation of pure Cuban, having the opportunity to taste one of these, manually prepared by the farmer himself, contemplating decorating Viñaleros green hummocks.